Notes describing a wine or wines are often more about the writer than the wine. Thus, anything we write must be assumed to contain our personal bias as well as some wishful thinking, or more correctly, wishful projections of what we would like the wines to be. As we set out to make these, our first two wines, we hoped that by treating the grapes, must and finished wine in exactly the same way, the two vineyards would each have their own unique expression and personality. We believe we have achieved this, but you the drinker should be the judge. 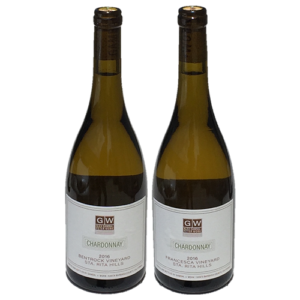 The wines are available direct from the winery in 3 and 6 bottle cartons at $65.00 per bottle. If you have questions about purchasing our wines, please CONTACT US.